Kids First Science Laboratory is a hands-on introduction to science for preschoolers. 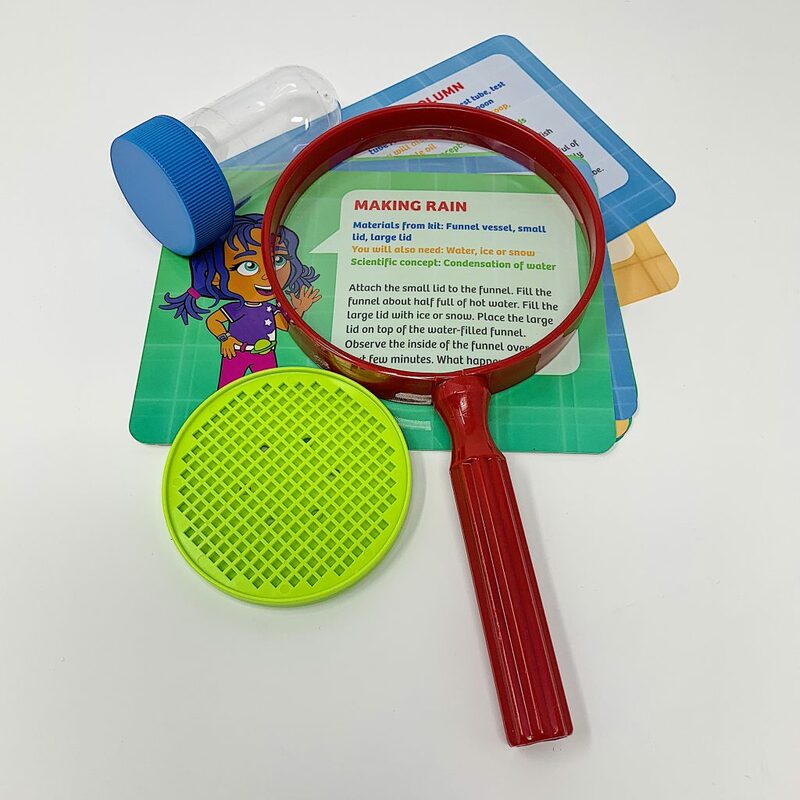 This fun and informative science kit allows preschool-age kids to get a head start on learning important STEM skills. This kit helps develop fine motor skills, science and math skills, problem-solving skills, and reasoning and concept development skills. According to a report released by The Center for Childhood Creativity (CCC) at the Bay Area Discovery Museum, children are capable of understanding science, technology, engineering and math (STEM) concepts when they are less than a year old but these skills must be developed intentionally. Parents are continuously looking for STEM and educational toys that can be introduced into their child’s playtime, especially during early child development. 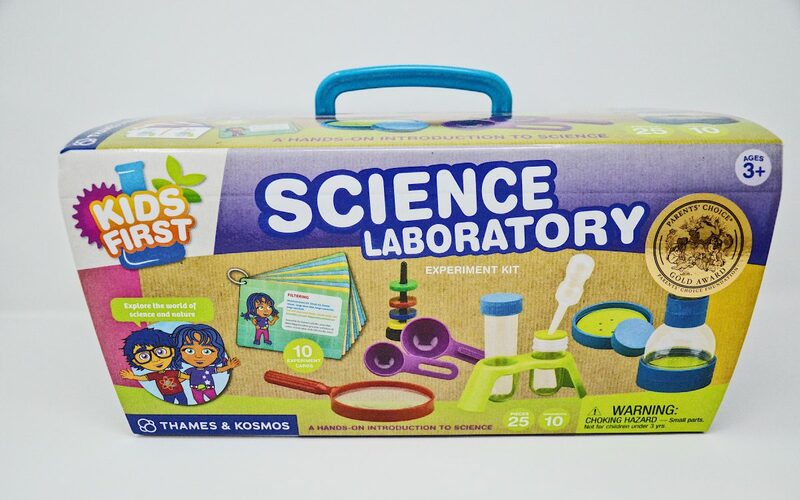 The Kids First Science Laboratory is an excellent kit to help develop your preschooler’s curiosity and scientific thinking. 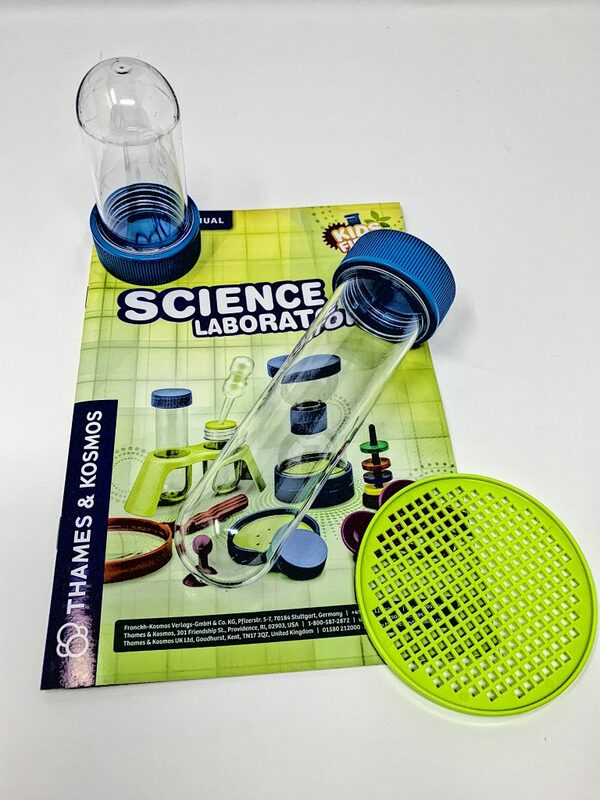 The kit includes a set of 10 double sided experiment cards. One side has instructions for children to follow; the other side has information for the parent, caregiver, or teacher to read to the child. Children ages 3-5 have a natural curiosity to learn and explore about their environment through observation, experimentation and play. This kit was developed according to the current educational philosophy of fostering children’s inquisitiveness and interests by providing them with tools and open-ended learning experiences to optimally support their development. This is a great hands-on introduction to science for your preschooler. Start laying the groundwork for strong STEM related skills and comprehension.